Venezuela is currently facing a profound humanitarian crisis, the product of two decades of socialist rule. The nation’s legislature invoked constitutional provisions to replace dictator Nicolás Maduro with the head of the National Assembly, current interim President Juan Guaidó, in late January, but Maduro has refused to step down. Maintaining control of the military, Maduro ordered a brutal crackdown on pro-democracy dissidents that has killed dozens and seen the country’s political prisoner population skyrocket to nearly one thousand, according to the United Nations. During his State of the Union Address on Tuesday, President Donald Trump expressed support of Guaidó and for the Venezuelan people. Becerra, in his speech — intended to address America’s Spanish-speaking community, in which the Venezuelan diaspora is among the fastest growing populations — did not mention Venezuela or America’s growing Venezuelan refugee community. The absence of any mention of the topic is particularly notable given the scale of support Venezuela’s pro-democracy movement has received from many of Latin America’s most prominent celebrities and the near-total support for Guaidó from Latin American governments. 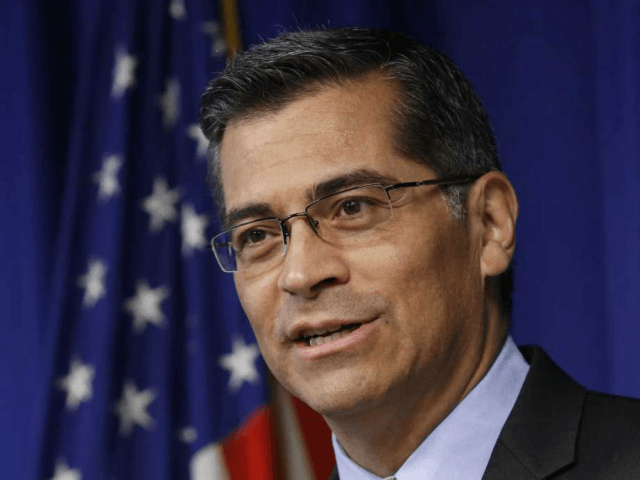 Instead of discussing Venezuela, Becerra focused on illegal immigration from Mexico and Central America and Democratic Party talking points on alleged Russian collusion with the Trump administration, Obamacare, and claims the Republican Party blocks Latinos from voting. Becerra framed his speech around the experience his parents had of immigrating from Mexico to the United States. “How can one explain that our country lives under an intense investigation over Russian interference in our 2016 presidential elections and over the role President Trump played in them?” Becerra asked. He did not mention Russia’s interference in Latin America, particularly Venezuela, where it has become the most prominent nation still supporting Maduro as legitimate.